We can come to your home or business to pick up your furniture and other large items. Fill out the form below to schedule a Home Pick Up or call 409-838-9911. 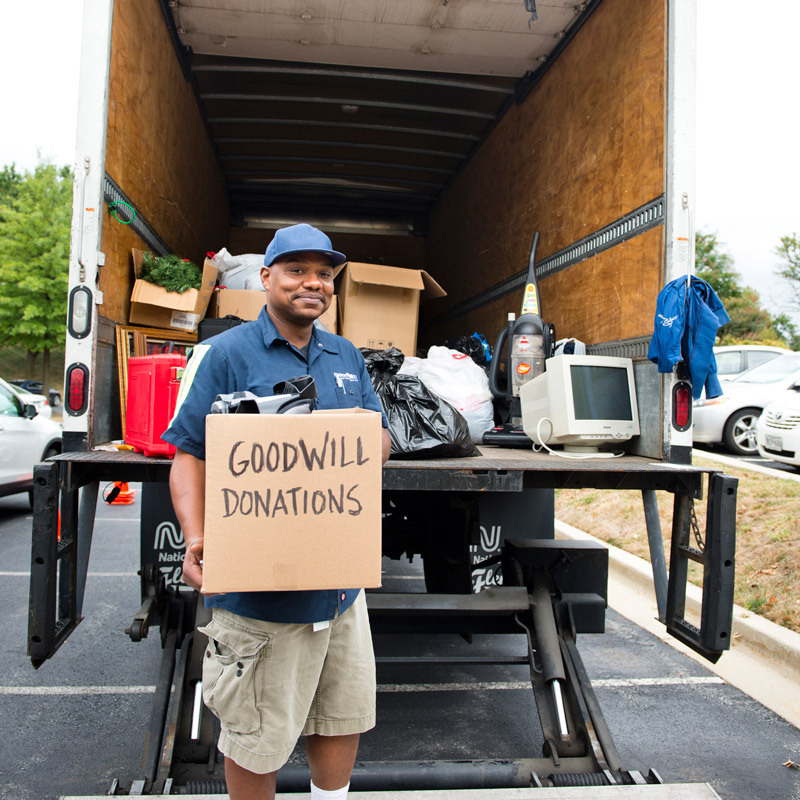 If you are moving soon, we can drop off carts at your house and you can place your donations in the carts, then we will come pick up the carts when you have them loaded. We do require a credit card deposit for the bins. Please use the form below to schedule a home pickup. Note that choosing a date below does not guarantee our availability. Phone is required to verify our pickup time. Our service area only includes Southeast Texas and Southwest Louisiana. Please note that choosing a date does not guarantee availability. We will make every effort to accommodate your request, however an alternate date may be requested when a representative gets in contact with you. Thanks for understanding. Please choose all times that will fit into your schedule on the requested deliver date. Please tell us what types of items are you donating and the total size of your donation. Please indicate if there are any oversize items or anything very heavy.